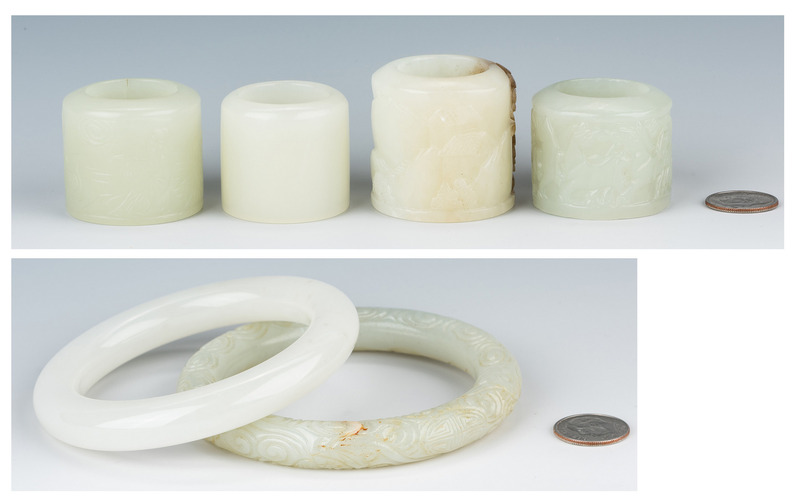 Two (2) Chinese Jade Bangles and four (4) Jade Archer's Rings, 6 items total. 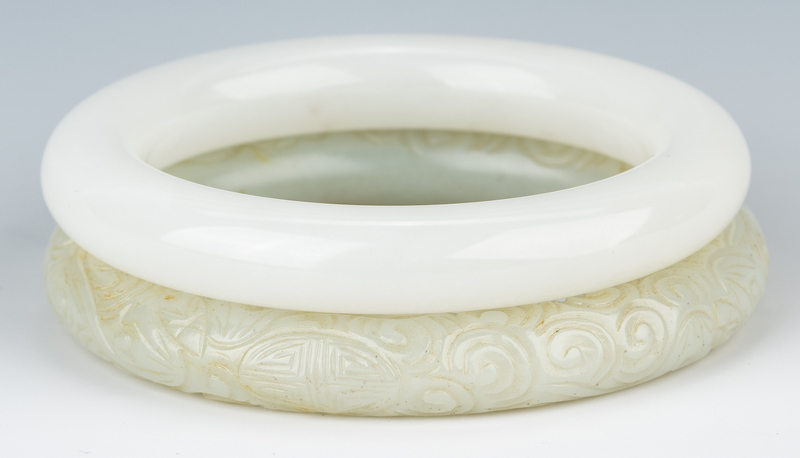 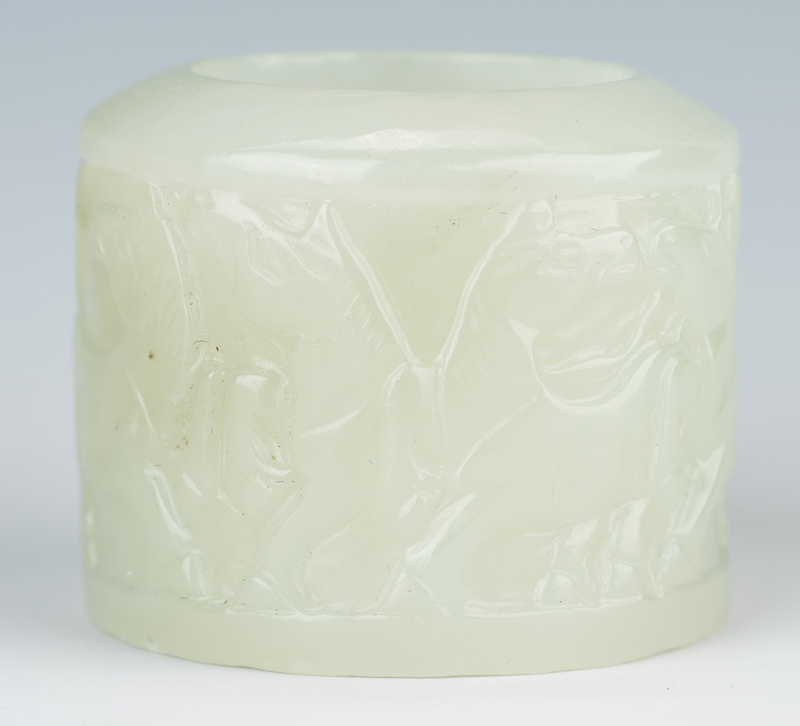 1st item: Late Qing white jade round bangle bracelet, 6 3/4" interior circumference, 7/16" wide bracelet. 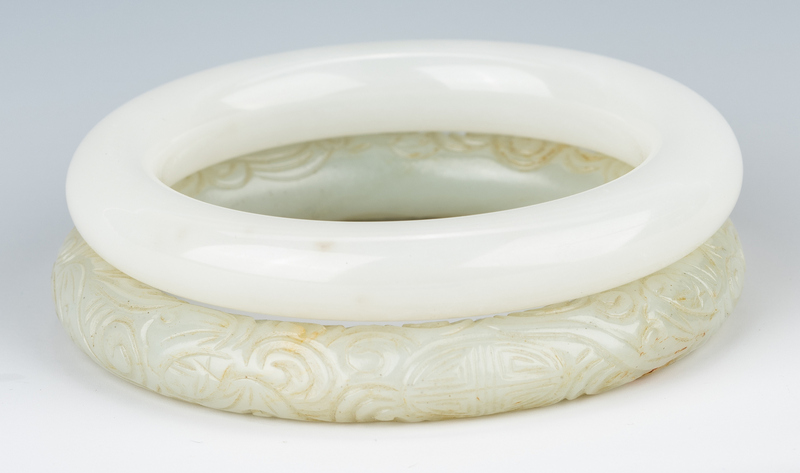 Chinese, late 19th/early 20th century. 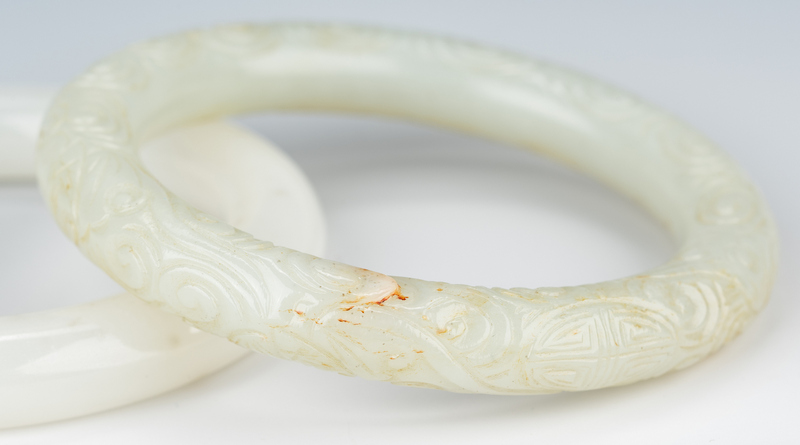 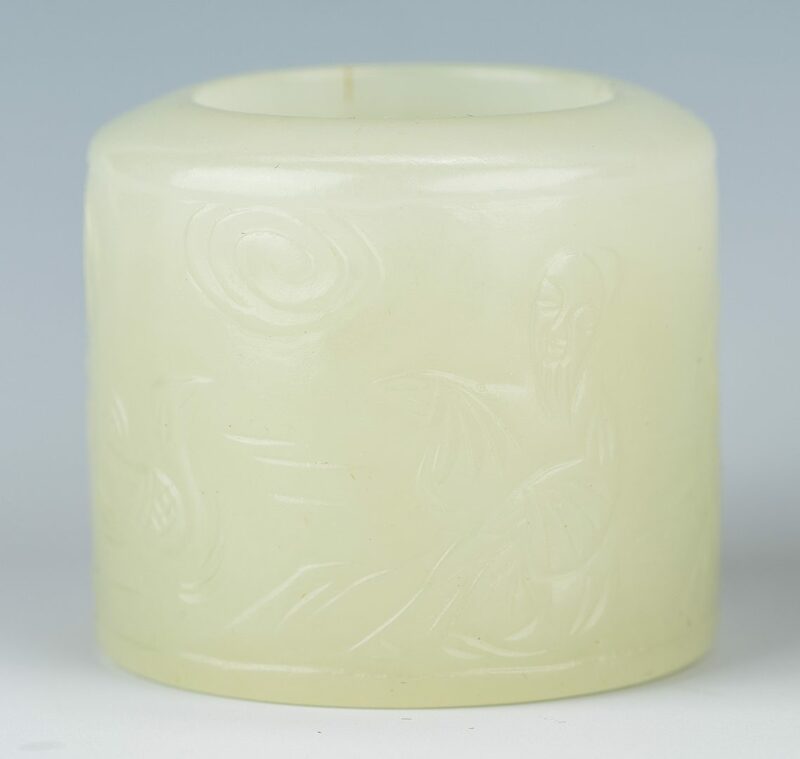 2nd item: Carved light celadon jade or jadeite round bangle bracelet with small russet inclusion, carved with Chinese symbols of clouds, serpents and Happiness, 7 1/4" interior circumference, 5/16" wide bracelet. 3rd item: Carved very light celadon green jade archer's ring with russet inclusion, carved with village landscape including buildings and pine trees, 1 3/8" H. 4th item: Carved light celadon jade archer's ring of parade of horses in various moving positions, 1 1/8" H. 5th item: Carved light celadon green jade archer's ring of garden scene with figure, bird and plant life, 1 1/8" H. 6th item: Nearly white jade uncarved archer's ring, 1 1/8" H. All items Chinese, late 19th/early 20th century. 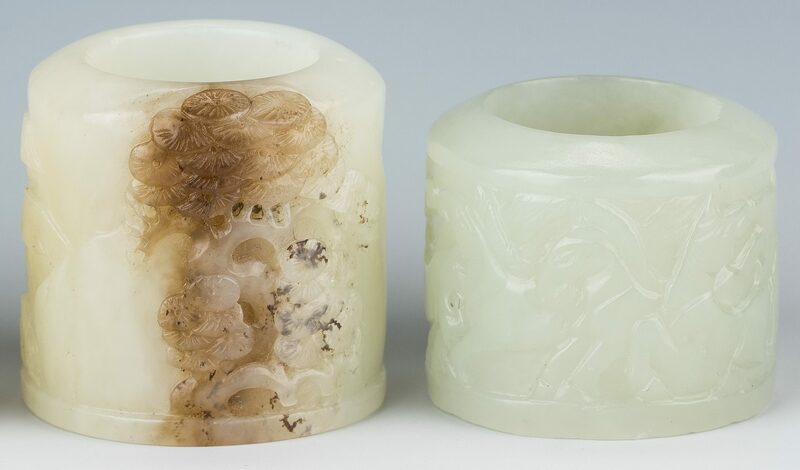 CONDITION: 1st item: Scattered tiny inclusions, approx. 16. 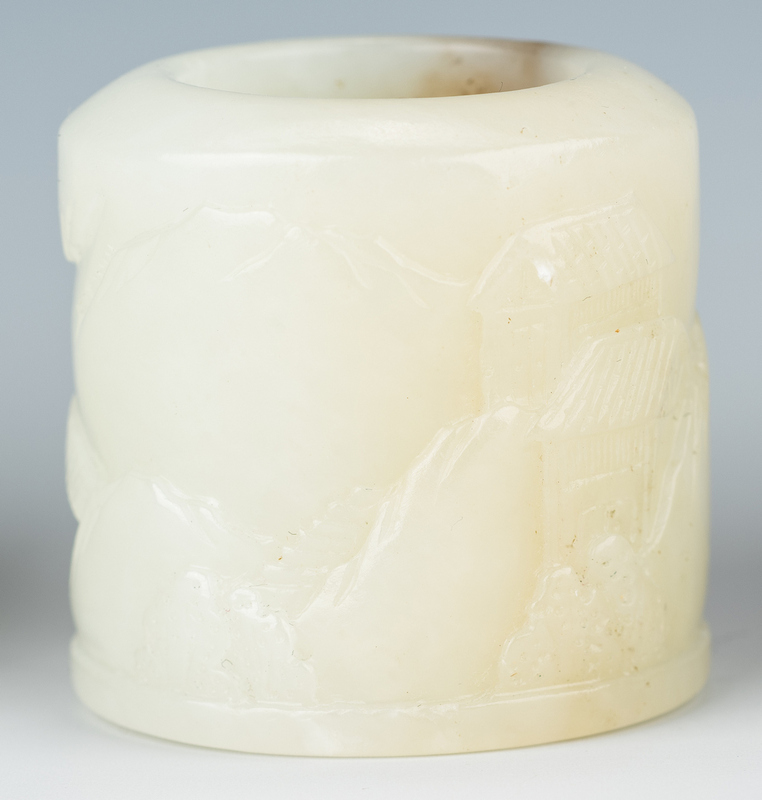 2nd item: Natural flaw at rim at russet inclusion.